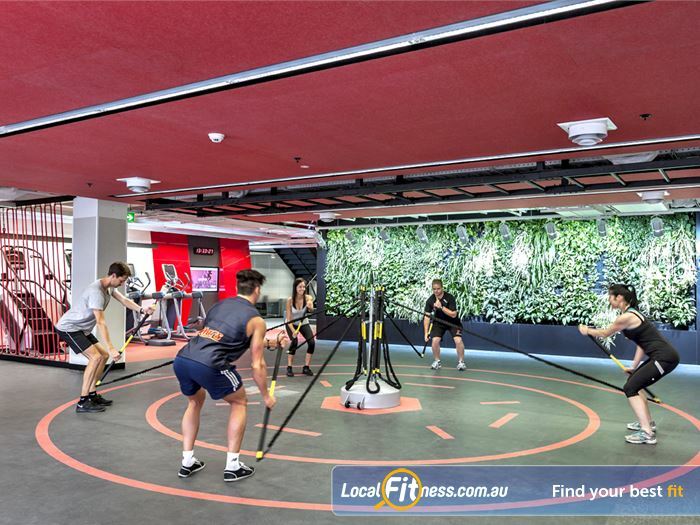 Why Fitness First Flinders St Platinum Melbourne? 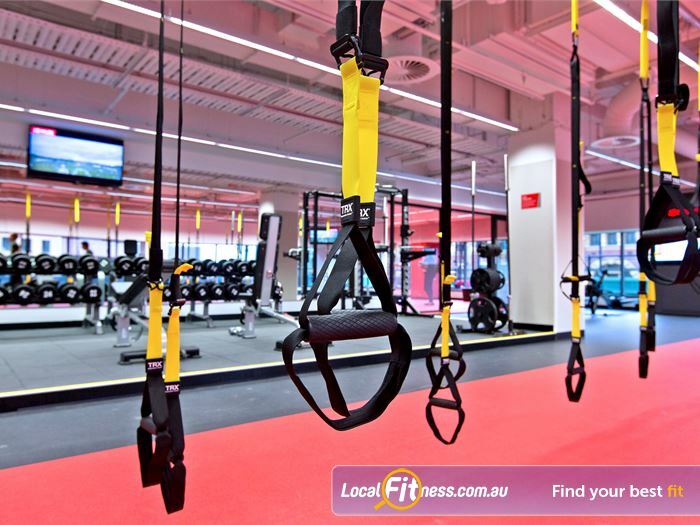 Experience Fitness First Flinder St Platinum! 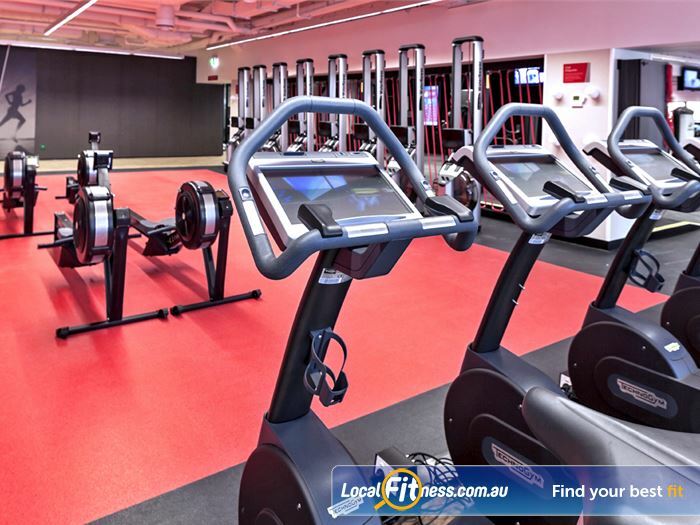 Fitness First Platinum Flinders St is a 3,800 square metre state of the art Platinum Club described as one of the best gyms in Australia. 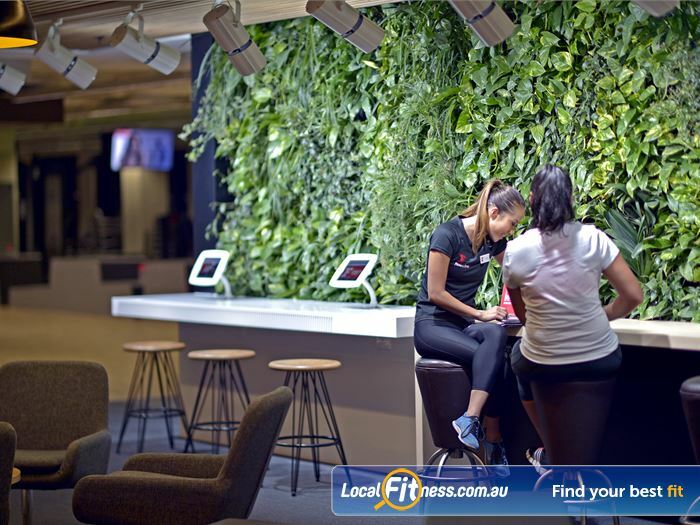 The club is part of the 5 Fitness First city clubs that support the Melbourne CBD. 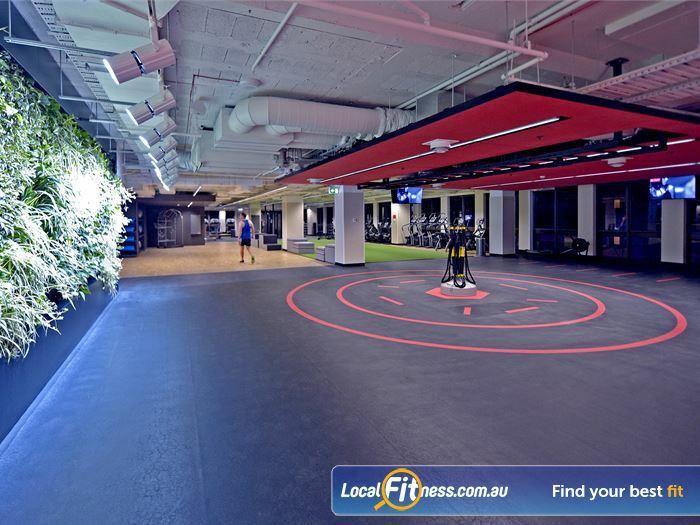 The club offers an entirely new fitness experience unlike any other gym in the heart of Melbourne. 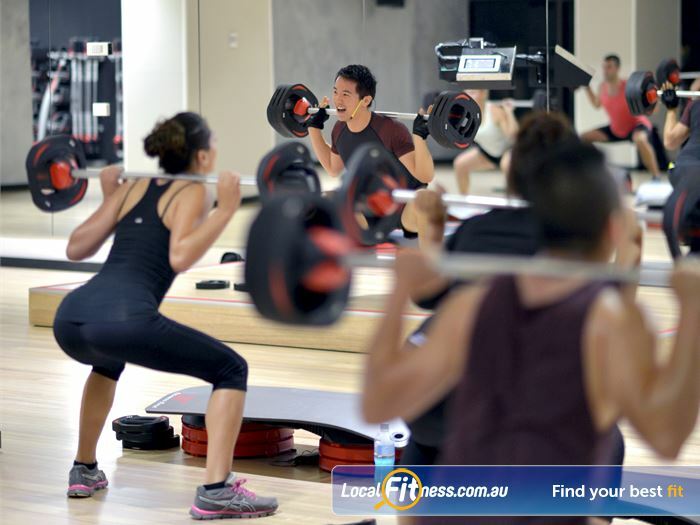 At Fitness First Platinum Flinders St gym, we'll show you how you can get ahead, and stay there. 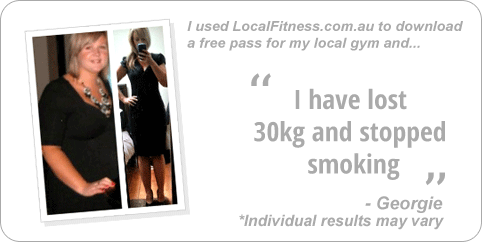 Take the first step with a FREE trial to our Melbourne gym. 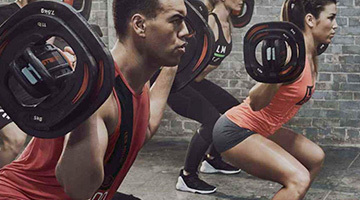 You can try out our Freestyle classes or our range of group fitness classes including Yoga, Pilates, Boxing and Les Mills. 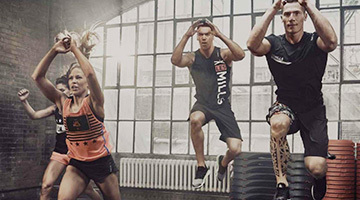 Make Fitness a part of your life. 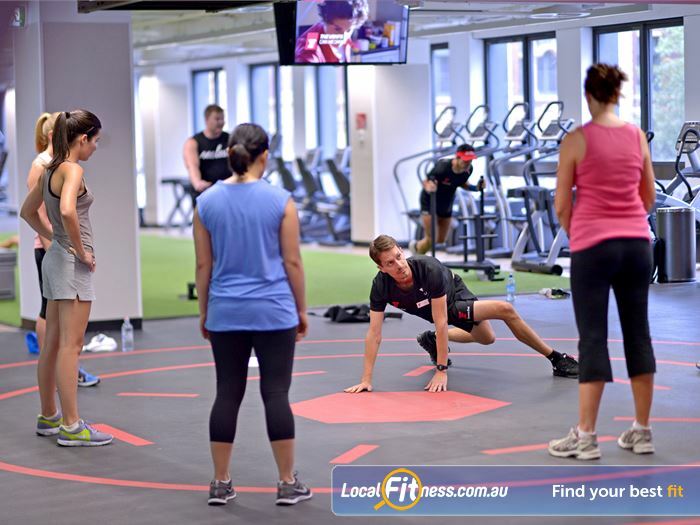 As a Fitness First Platinum member, you can experience a myriad of training styles unmatched by any health club in Australia. And as a platinum member of one club, you’ll get access to all Fitness First clubs nationwide. 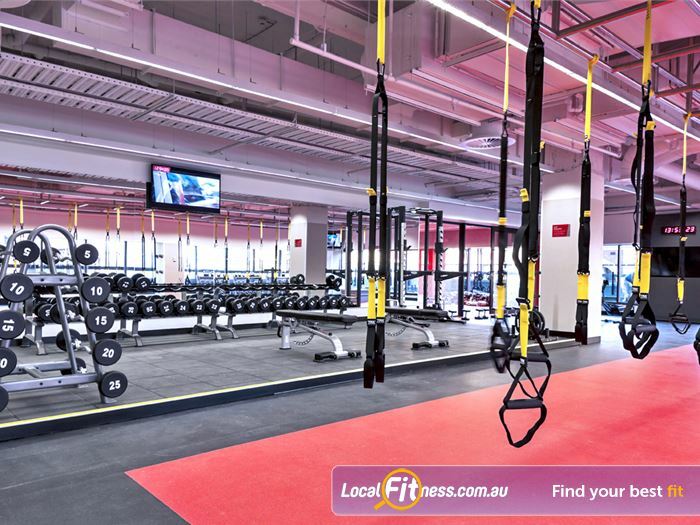 Our Flinders St Platinum Melbourne gym is a place where people come to meet, train hard and get results, and our team is here to help you achieve your fitness goals. Try out the latest training techniques at our Flinders St Melbourne gym including our functional Freestyle area, our wide selection of group exercise classes inc. Melbourne Yoga, Pilates, Zumba Les Mills, dedicated HOT Yoga studio, cycle studio with Virtual Myride+, Olympic lifting platforms, rooftop outdoor functional training area, lounge and meeting rooms, modern facilities, cardio theatre, and so much more. Start your journey today with a Trial. 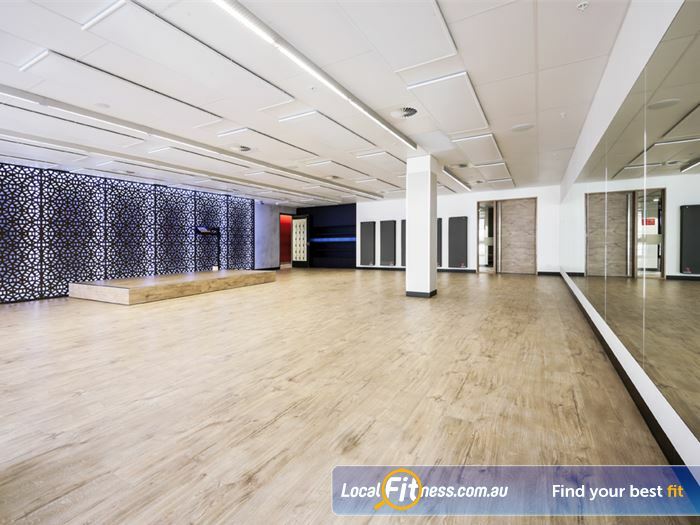 Welcome to the 7 million dollar Fitness First Flinders St Platinum gym. 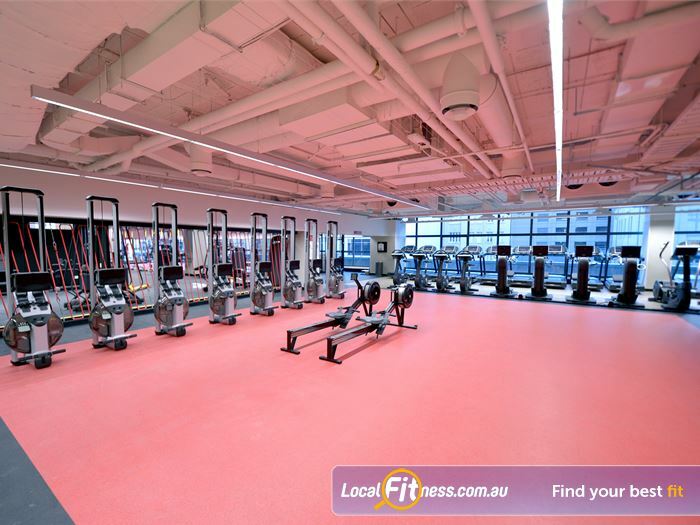 Our flagship multi-level 3,800 sq/m Melbourne gym. Stunning views of the iconic Flinders St station from our cardio area. 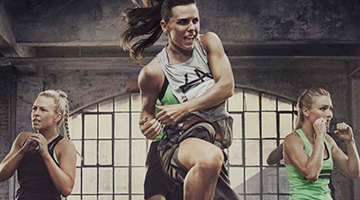 Over 100 classes per week inc. Les Mills, Zumba, HIIT and more. 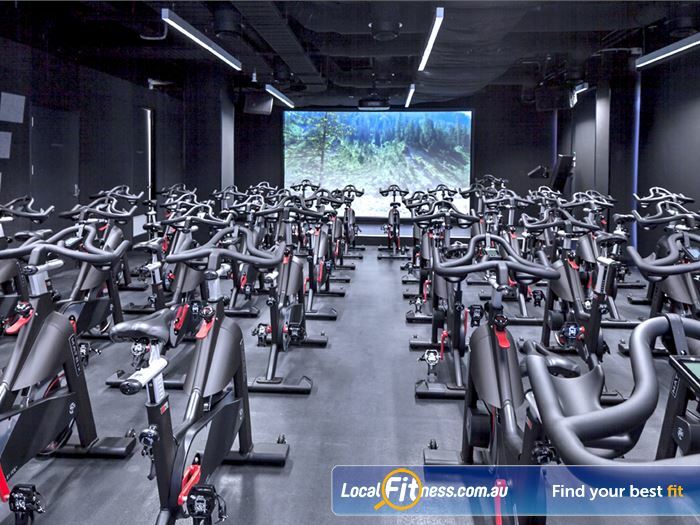 Dedicated Melbourne cycle studio including Virtual MyRide+. A full range of innovative and new style classes. Exclusive lounges and meeting room facilities. 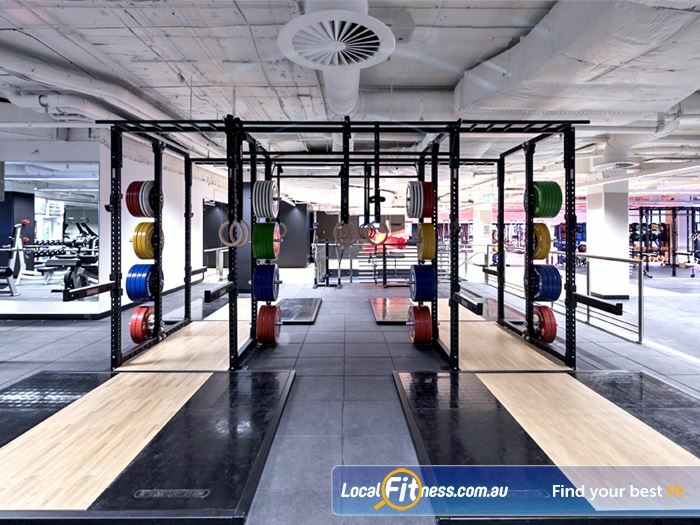 Our Melbourne gym provides an emphasis on functional and innovative training. 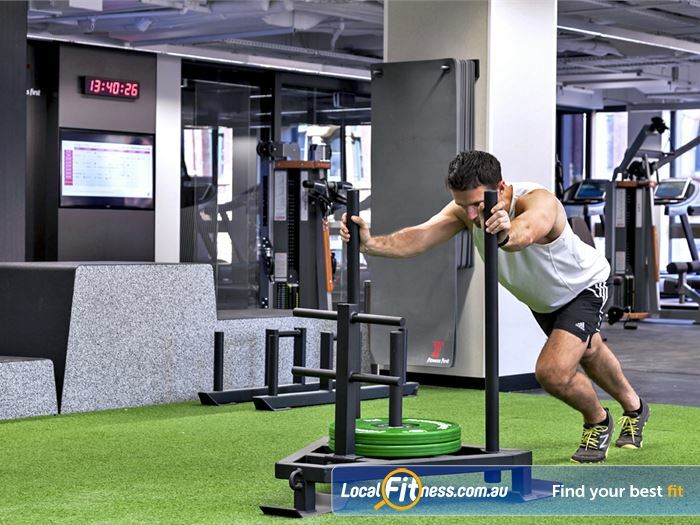 The dedicated freestyle functional area focusing on Dynamic Movement Training. 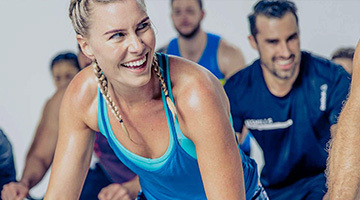 Experience innovative fitness with the revolution MYRide+ virtual class system. 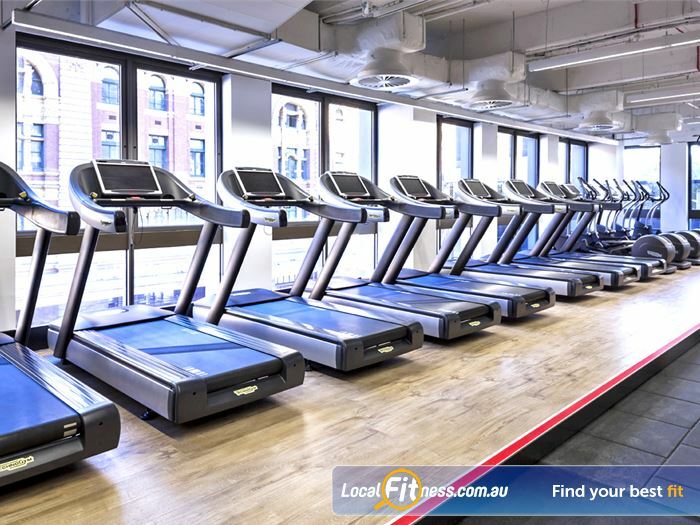 Enjoy state of the art cardio with stunning views in our Melbourne gym. 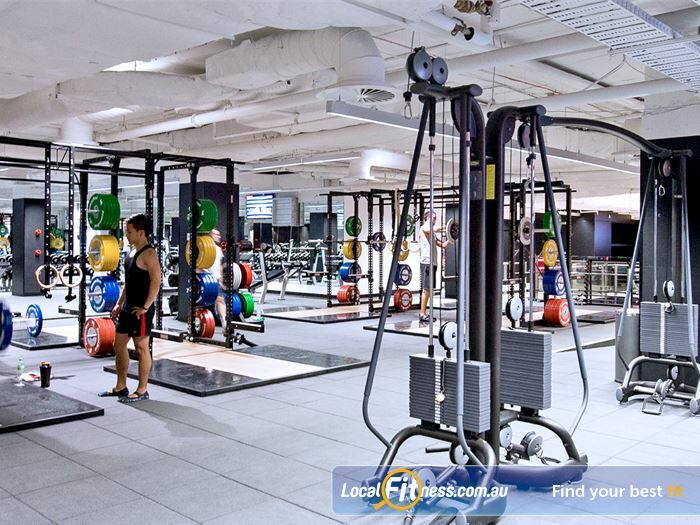 Multiple strength training areas located throughout our Melbourne gym. Dedicated Melbourne boxing studio with heavy bags. High-performance strength cages and Olympic lifting platforms. Freestyle TRX suspension training area. 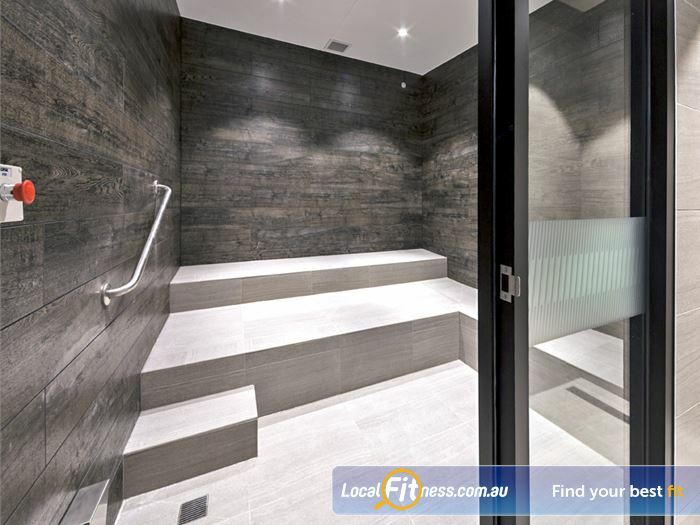 2 Level Melbourne gym providing an innovative fitness experience. The rooftop outdoor training area with iconic views of the Flinders St station. Dedicated Melbourne HOT yoga studio. 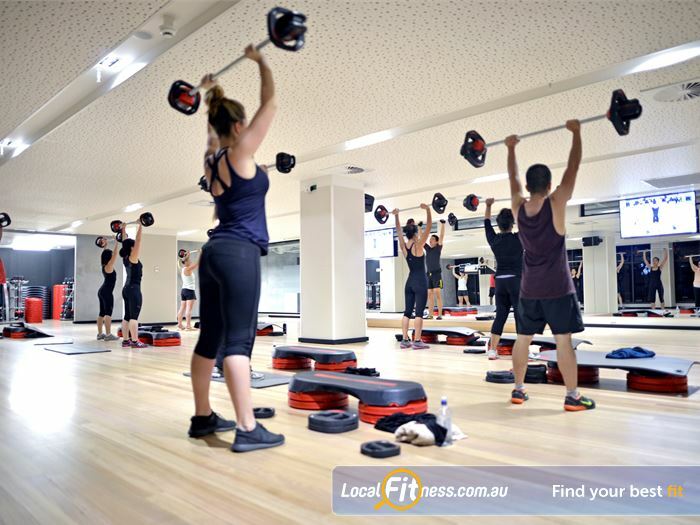 Our Melbourne gym includes a fully equipped free-weights area. Indoor speed/agility track with prowler. 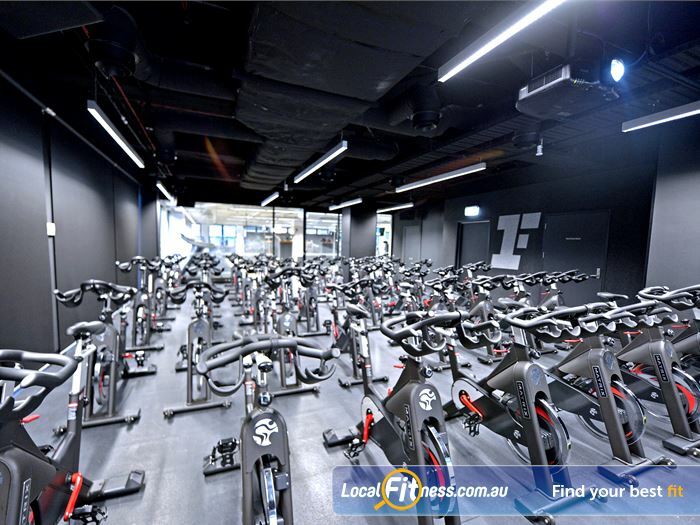 Full range of cardio including cycle bikes, rowers, cross-trainers and more. Exclusive change rooms with hairdryers, straighteners and shoe shiners. 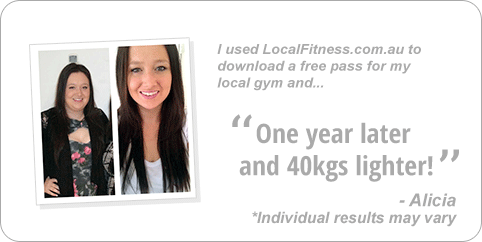 Our Melbourne Personal training team can customise a program to suit you. 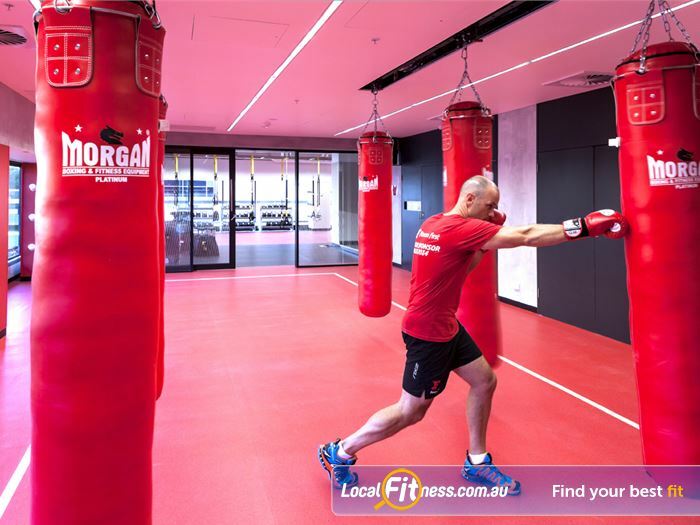 The MMA/Boxing area is a dedicated studio for all our Melbourne boxing classes. 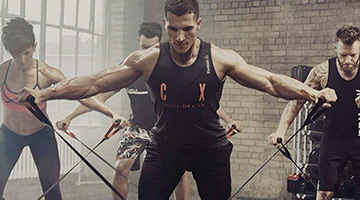 The studio is equipped with a range of heavy punching bags, speedballs and functional equipment such as battle ropes. 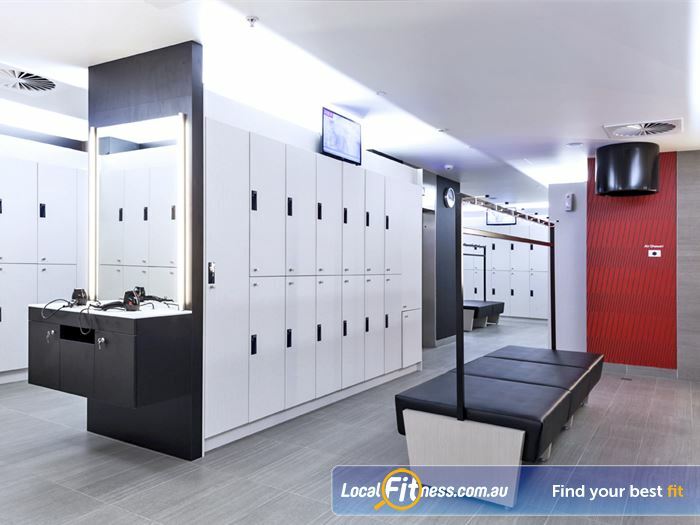 The studio offers scenic views of the Flinders St station offering one of the best views in the club. Bring your own gloves or use our complimentary gloves and focus pads for our Melbourne boxing classes. 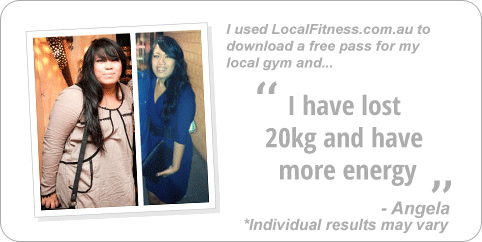 Join our heart pumping Melbourne boxing classes. 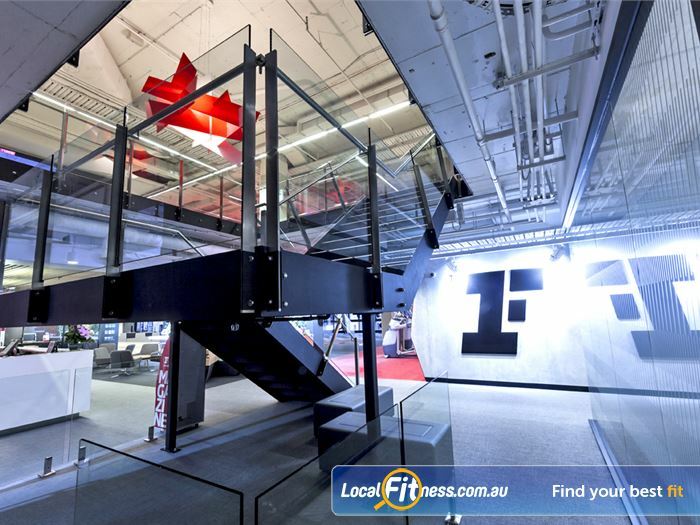 The dedicated MMA / Boxing area in our Melbourne Fitness First club. Fully equipped with heavy bags, speed balls and more. Complimentary gloves and focus pads for our boxing classes. 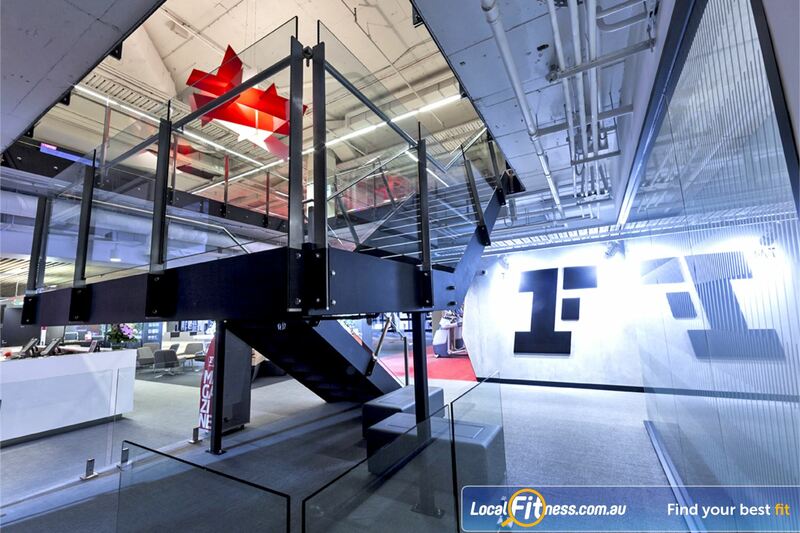 Our Melbourne boxing studio provides one of the best views from the club.